A federal judge on Tuesday blocked the Trump administration’s plan to add a citizenship question to the 2020 census, with an opinion that found the move by Commerce Secretary Wilbur Ross violated the Administrative Procedure Act. Furman’s decision, if not overturned by a higher court, is a monumental victory for voting rights activists and immigrant advocates, who feared the question would spook immigrant participation in the census. An undercount of those populations would shift political representation and governmental resources away from those communities, in favor of less diverse, less urban parts of the country. Furthermore, there were strong hints that the citizenship data procured would then be used to exclude non-citizenships from redistricting — a long-sought goal of conservatives that would boost Republicans’ electoral advantages. The case was a consolidation of two lawsuits — one brought by the ACLU and the other by a multi-state coalition — and is among some half dozen cases across the country challenging the decision, which was announced last March. Furman’s case was he first to go trial and he is the first judge to reach a decision on the merits. It is also an issue already headed to the Supreme Court, so it is unlikely that Furman’s word will be the last one. After the Trump administration fought tooth and nail Furman’s order that Ross be deposed for the case, the Supreme Court blocked the deposition and scheduled a hearing on whether Ross’ motive for adding the question should play a role in the case for February. Furman said that his decision Tuesday was based solely on the so-called administrative record — the official record that administration put forward justifying its process of coming to a decision on the question. By basing his ruling only on the administrative record, Furman segregated his findings from the contentious issue at the heart of dispute the Supreme Court will hear next month. “Looking beyond the Administrative Record merely confirms the Court’s conclusions and illustrates how egregious the APA violations were,” he said. While ruling with the challengers on the Administrative Procedures Act claim, the judge did not find a constitutional due process violation, as the challengers alleged. See here for the previous update. Though you wouldn’t know it from the slavish devotion our state leaders pay to Donald Trump, this ruling is very good for Texas. There will of course be an appeal and as noted this will surely make its way to SCOTUS, but for now this is a big win. ThinkProgress, Slate, and Mother Jones all have good analyses of the opinion, so go check ’em out. But hold on, because there’s another ruling to come. A federal judge on Friday upheld his previous order to revive an Obama-era program that shields some 700,000 young immigrants from deportation, saying that the Trump administration had failed to justify eliminating it. Judge John Bates of the U.S. District Court for the District of Columbia gave the government 20 days to appeal his decision. But his ruling could conflict with another decision on the program that a federal judge in Texas is expected to issue as early as [this] week. Bates ruled in late April that the administration must restore the DACA program and accept new applications. He had stayed his decision for 90 days to give the Department of Homeland Security, which runs the program, the opportunity to lay out its reasons for ending it. Kirstjen Nielsen, the homeland security secretary, responded last month, arguing that DACA likely would be found unconstitutional in the Texas case and therefore must end. She relied heavily on the memorandum that her predecessor, Elaine Duke, had issued to rescind the program and said the department had the discretion to end the program, just as the department under Obama had exercised discretion to create it. That’s the good news. The bad news is that federal judge Andrew Hanen will have a hearing in Houston on Wednesday the 8th on the Paxton lawsuit that seeks to put an end to DACA, and everyone seems to think that Hanen will (as has been his custom) give Paxton what he’s asking for. Which will force the matter to SCOTUS, and Lord only knows what happens next. I have more on the Texas case here and here, and see Mother Jones and ThinkProgress for more on the DC court’s ruling. A federal judge in New York on Thursday allowed a lawsuit challenging the addition of a citizenship question to the Census to move forward. U.S. District Judge Jesse Furman’s decision rejected the Trump administration’s request to dismiss the lawsuit, which was brought by numerous states and localities. The judge said that the court has jurisdiction to review Commerce Secretary Wilbur Ross’s decision to add the question, rejecting the administration’s arguments that Ross could be insulated from judicial review. Furman said that while Ross indeed had the authority under the Constitution to add the question, the judge concluded that the exercise of that authority in this particular case may have violated the challengers’ constitutional rights. See here, here, and here for the background. Nothing really new here, just another chance for me to say that this absolutely was motivated by discrimination and that it would be very nice to have it halted by the time the counting actually begins. Daily Kos and NPR have more. A federal lawsuit by Texas officials earlier this year seeking to order the end of the federal immigration program called the Deferred Act for Childhood Arrivals, or DACA, will have “immediate, irreparable injury” to Texas businesses and cost the state’s economy billions of dollars, according to a coalition of pro-business organizations. Seven Texas-based chambers of commerce, two pro-business consortiums and four prominent companies – including Southwest Airlines – filed an unprecedented court brief late Saturday asking a federal judge in Houston to reject Attorney General Ken Paxton’s argument that the DACA program be ended and dismantled. 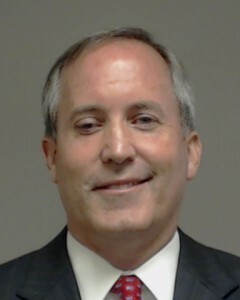 Lawyers for Vinson & Elkins, which represents the business coalition that includes the Texas Association of Business, argue that Paxton’s case – if successful – would significantly damage their operations, deprive them of much needed work expertise and cost the state of Texas tens of thousands of jobs and hundreds of millions of dollars in tax revenues. The business organizations point out that DACA was initiated by the Obama Administration in 2012, but the fact that Texas and the six other states suing waited until 2018 to challenge the program is a major legal argument in favor of keeping the status quo. “The States waited almost six years after the announcement of the DACA guidelines before challenging them in Court, despite challenging similar initiatives implemented after DACA in 2015,” V&E lawyers argue. “Since an injunction is an equitable remedy, it may be denied on the basis of laches if an unreasonable delay by the party seeking injunctive relief works to the disadvantage or prejudice of another party. See here, here, and here for the background. I’ll be honest, when I first saw the story headline, I assumed this was another one of those meaningless tut-tut gestures from the Texas Association of Business towards their vassals in the state GOP. They were the masters of the mild statement of disapproval that was never accompanied by any tangible action but always got them some cheap publicity long before Jeff Flake ever complained about Donald Trump on Twitter. This at least has the chance to do something tangible, so kudos to them for that. Having said that, let’s be clear that this is very much a political problem as well as a legal one. If you’re not working towards a Democratic Congress and the election of Justin Nelson as Texas AG, you’re not really trying to solve it. Anyway, there will be a hearing in Houston on August 8, so we’ll see if this has any effect. The Chron has more. A federal judge said Tuesday that there was a “strong showing of bad faith” by the Trump administration in adding a controversial question about US citizenship to the 2020 census. The judge hinted that he would allow the case to move forward over objections from the administration, and senior administration officials will be subjected to questioning under oath about why the question was added. Judge Jesse Furman of the Southern District of New York, who was appointed by President Barack Obama, said the administration “deviated from standard operating procedure” by adding the question with no testing. Furman ruled that the plaintiffs challenging the question—including the state of New York and the American Civil Liberties Union—can depose senior officials from the Commerce Department and Justice Department as the case moves forward. The census has not asked respondents about their citizenship status since 1950. Civil rights groups say the citizenship question will depress response rates from immigrants, imperil the accuracy of the census, and shift political power to areas with fewer immigrants. The census determines how $675 billion in federal funding is allocated, how much representation states receive, and how political districts are drawn. Commerce Secretary Wilbur Ross, who oversees the Census Bureau, approved the citizenship question in March, saying it was needed for “more effective enforcement” of the Voting Rights Act. Ross said at the time and in subsequent testimony before Congress that he approved the question after the Justice Department requested in December 2017 that it be added. However, Ross stated in a memo he filed to the court on June 21 that he first considered adding a citizenship question to the census after he was confirmed as commerce secretary in February 2017, months before the Justice Department requested the question. He wrote that he had approached the Justice Department about the question, not the other way around, after consulting with “other senior Administration officials” who had “previously raised” the citizenship question. See here and here for some background. The judge did subsequently allow the lawsuit to go forward, while also granting the motion for discovery. I for one can’t wait to see what bits of treasure that digs up. Time is of the essence here, so I hope there’s a speedy schedule to get us towards a resolution. Some of this is due to the fact that the number of people who identified as non-Hispanic whites has decreased by 17,000 residents — likely due to outward migration – while the population for minority groups has steadily grown. Because Hispanic is an ethnicity, not a race, Census respondents are able to select a race, as well as whether they are Hispanic or non-Hispanic. We’ve seen some of this before. The out-migration pattern is worth watching – Dallas County has experienced something similar in recent years, which has limited its growth – and of course international migration will be a huge variable at least until we get some sanity back in the federal government. None of this changes the basic patterns, it just slows things down a bit. The Trib has more. There’s actually now five lawsuits and counting over the Census citizenship question, but “three” fit my headline better. The American Civil Liberties Union sued the Trump administration on Wednesday over its decision to add a controversial question about US citizenship to the 2020 census. The ACLU suit is the fifth one challenging the citizenship question, which is likely to depress the response rate among immigrants and reduce the political power of the cities and states where large numbers of them live. “The addition of the citizenship question is a naked act of intentional discrimination directed at immigrant communities of color that is intended to punish their presence, avoid their recognition, stunt their growing political power, and deprive them and the communities in which they live of economic benefits,” states the lawsuit, which was filed on behalf of immigrants’ rights groups. The American Civil Liberties Union sued the Trump administration on Wednesday over its decision to add a controversial question about US citizenship to the 2020 census. The ACLU lawsuit follows four similar suits: one from the state of California, one from New York and 16 other states, and one each from a Democratic redistricting group led by former Attorney General Eric Holder and the Mexican-American Legal Defense and Educational Fund. See here, here, and here for some background. I wouldn’t trust this administration’s ability to run a garage sale, but this particular development just adds another deep layer of concern. I sure hope we start seeing some action on these lawsuits, because time is very much of the essence. Daily Kos has more. The Mexican American Legislative Caucus and the Texas Senate Hispanic Caucus are suing the Trump administration in hopes of blocking the addition of a citizenship question to the once-a-decade census of every person living in the United States. In a lawsuit filed Thursday in a Maryland-based federal court, the Texas-based groups allege that the addition of the controversial question is unconstitutional because it will lead to a disproportionate undercount of Latino and Asian residents, non-citizens and their family members. That undercount would endanger billions of dollars tied to social services funding and deprive those individuals of equal representation in the U.S. House and during the redrawing of political boundaries that follows each census count, the plaintiffs allege. The lawsuit was filed on behalf of more than a dozen plaintiffs — including several Texas-based nonprofits that advocate for Latino residents and legislative Latino caucuses out of Arizona, Maryland and California — who say they are seeking to “preserve the integrity” of the census count. The Trump administration’s “inclusion of a citizenship question in the 2020 decennial Census is arbitrary and capricious, an abuse of discretion, and otherwise not in accordance with law,” the plaintiffs wrote in their filing. They specifically allege that the inclusion of the citizenship question violates the Constitution’s Equal Protection Clause because it is “motivated by racial animus” toward Latinos, Asians, non-citizens and immigrants. They also argue that the court should act to prevent the undercount that would result from the addition of the question, which would amount to a violation of the Enumerations and Apportionment Clauses. A coalition of cities and states had previously filed a lawsuit for the same reasons. It can’t hurt to get more irons in the fire on this, given the stakes and the fact that our morally bankrupt Attorney General has no interest in opposing this harmful idea. Given the timing, we’re going to need to start seeing some rulings soon for any of this to matter. I’ll keep an eye out. The state’s rights aspect of this ruling may have other applications. Seven of the nine justices — five conservatives and two liberals — backed a robust reading of the Constitution’s 10th Amendment and a limit on the federal government’s power to force the states go along with Washington’s wishes. There is a direct link between the court’s decision in the sports betting case and the administration’s effort to punish local governments that resist Trump’s immigration enforcement policies, several legal commentators said. “The court ruled definitively that the federal government can’t force states to enforce federal law. In the immigration context, this means it can’t require state or local officials to cooperate with federal immigration authorities,” said Ilya Shapiro, a senior fellow in constitutional studies at the libertarian Cato Institute. Omar Jadwat, director of the ACLU’s immigrants’ rights project, said the ruling reinforced decisions from the 1990s, including one that struck down part of a federal gun control law that required local police to determine if buyers were fit to own handguns. “It reiterates that the real thrust of the 10th Amendment and the principles of law in this area is that the fed government can’t tell the states or cities how to legislate,” Jadwat said. The amendment says that powers not specifically given to the federal government belong to the states. See here for the background. This is only directly applicable to the feds attempting to force a local government to enforce immigration laws, not to the state trying to do the same to cities or counties. In other words, it’s not really on point for the SB4 litigation, but that doesn’t mean it won’t play a role somehow. At least, that’s my totally uninformed non-lawyer’s guess. Whatever else the case, putting some limits on Jeff Sessions is a good thing. Slate and ThinkProgress have more. Following through on a months-old promise, Texas Attorney General Ken Paxton filed a lawsuit Tuesday to end the Deferred Action for Childhood Arrivals program, leading a seven-state coalition against an Obama-era immigration measure that protects hundreds of thousands of immigrants nationwide from deportation, including more than 120,000 in Texas. Paxton first threatened in June 2017 to sue over the program if President Donald Trump’s administration had not ended it by September. After federal court rulings blocked the Trump administration’s efforts to end the program, Paxton wrote in January that he would consider filing suit if DACA still stood in June. But a recent ruling in favor of DACA seems to have shifted up Paxton’s timeline. The announcement comes exactly a week after a federal judge in Washington, D.C. ordered the Trump administration to continue the program and reopen it to new applicants. That was the third — and by far the strongest — rebuke of Trump’s efforts to rescind the program. Judges in California and New York had previously ordered the administration to renew work permits for immigrants enrolled in the program. “Instead of wasting taxpayer funds to pick on these Americans without status, the Attorney General should join the bipartisan chorus calling on Congress to fix a broken immigration system that denies these kids their rightful place at the American table,” said Anchia, a Dallas Democrat who chairs the Mexican American Legislative Caucus. Ending the program would cost Texas more than 100,000 workers and nearly billions of dollars in GDP losses, MALC said in a press release. Ending DACA will lead to “the separation of countless families,” said Cristina Tzintzun, the founder of Jolt Texas, a new group working to mobilize young Latino voters. Paxton warned Tuesday that conceding the presidential power to establish a program like DACA sets a dangerous precedent that could allow executives to “ignore the will of the people” and set their own policies on a long list of policy points. Paxton also criticized “activist judges” in federal court for keeping in place an “unconstitutional” law. See here for some background. There really is no dimension along which destroying DACA is a good idea, not that such things matter to the likes of Paxton. DACA also polls really well, including among Republicans, which may be why Paxton could only round up five co-conspirators this time. And you know, the guy who goes court-shopping for nationwide injunctions against laws he doesn’t like can take that “activist judges” crap and stick it where the sun don’t shine. I never thought I’d want to see someone get convicted of a felony more than I wanted to see Tom DeLay get convicted of a felony, but I really really want to see Ken Paxton get convicted of a felony. The Chron and RG Ratcliffe have more. And the reason for that is that people aren’t moving here the way they used to. Quite the opposite, in fact. There’s been a lot of publicity lately about the fact that in the last couple of years, Harris County has not been the population growth machine it’s been in the past – while nationwide the suburbs are now growing faster than core urban areas. As we reported not long ago, the most recent Census estimates show that metro Houston fell far behind metro Dallas in population growth last year, after several years in the No. 1 spot. Meanwhile, the Census found that last year Harris County fell far behind Maricopa County, Arizona, which is now the No. 1 county in the nation for population growth. And recently the respected demographer William Frey of the Brookings Institution found that population growth in core urban areas like Harris County has now fallen behind growth rates in the suburbs, the exurbs, and rural areas. Further analysis by the Kinder Institute finds that underlying all three of these trends are two striking facts: First, the decline in population growth in metropolitan Houston is all occurring in Harris County. And second, that decline in population growth is due entirely to a striking reversal in domestic in-migration in Harris County. Natural increase (births over deaths) and international migration are holding steady, but in 2017 far more people moved out of Harris County to go to other places in the United States than moved into Harris County from other places in the United States, according to the recently released Census data. Clearly, many of these out-migrants may simply be going to the Houston suburbs. But the population dynamics in the suburbs have not changed much in the last couple of years. 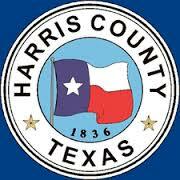 And the idea that Harris County is losing domestic migrants flies in the face of Houston’s own self-image. After all, the idea that you live off of natural increase and international migration – while losing your own residents to other places – is often viewed in Houston as a California kind of thing, not a Texas kind of thing. Click over and read on for the charts and the details. For Harris County, both natural population growth – i.e., births minus deaths – and international migration have held steady, and those numbers are enough so that even with more people moving out rather than moving in, Harris County is still growing, just more slowly than it was as recently as 2014. But natural growth is contingent on having a young population, which we have in part because of migration, and with the lunatic xenophobe in the White House right now I wouldn’t bank on these things continuing as they have, at least in the near-to-medium term. Population is power in our world, so if these trends continue then we may see Harris County lose influence relative to the big suburban counties as the city of Houston has lost influence relative to the county in the past couple of decades. If this is a trend, it’s the beginning of one, so it may still be a blip and there may be things we can do to affect it. I’d say it’s worth our time to try and figure this out. Nobody could have seen this coming! Ever since Texas’s “sanctuary cities” ban was first proposed in late 2016, the measure’s Republican backers have painted it as a public safety measure targeting criminals — without racist or anti-immigrant intent. But records obtained by the Observer reveal that some of the Texas citizens most supportive of the law apparently never got the memo. Senate Bill 4, among other things, threatens local law enforcement officials who impede cooperation with federal immigration agents with fines, jail time and removal from office. To prosecute wayward officials, the law requires citizens to report violations of SB 4 to the Texas Attorney General’s Office. Attorney General Ken Paxton formally began accepting complaints in September, but the records include a stream of phone calls and emails beginning last February. Of 43 total formal and informal complaints so far, most veered wildly from SB 4’s supposed intent, expressing instead resentment of immigrants and even threatening violence. See here for the background, and click over for the entirely predictable stream of garbage that ensued. In a world where Ken Paxton felt shame he would no doubt be red-faced over this, but we do not live in that world. I don’t know what else there is to say. Out of the dozens who communicated with Paxton’s office, only five followed the guidelines laid out in SB 4 by swearing their complaints before a notary or submitting an “unsworn declaration.” Four of the five centered on a high-profile incident involving San Antonio Police Chief William McManus — currently the focus of the only investigation of a potential SB 4 violation. In late December, an SAPD officer encountered what appeared to be 12 immigrants being smuggled into the country in an 18-wheeler. When McManus arrived on the scene, he made the unusual decision to charge the truck’s driver using a state smuggling statute rather than turn him over to the feds. After questioning, McManus released the immigrants to a local nonprofit, effectively shielding them from Immigration and Customs Enforcement (ICE). That set off a firestorm: The head of the local police union called for McManus to be put on administrative leave; Lieutenant Governor Dan Patrick urged Paxton to investigate whether McManus violated SB 4; and Paxton informed city officials on January 10 that he had received “several” complaints and was launching an investigation. But will anything come of this taxpayer-funded investigation? SB 4 — which is still being fought over in the courts — forbids any local policy that bans or “materially limits” cooperation between law enforcement and federal immigration authorities, and forces jailers to extend detention of undocumented immigrants at the request of ICE. McManus says his choice was an isolated decision that didn’t represent a new policy and that an ICE agent had every opportunity to intervene and take the individuals into custody. An ICE spokesperson has contradicted that, telling the San Antonio Express-News that the agency offered assistance and was rebuffed. See here for the background. Sometimes it’s just better to think of this all as a third-rate costume drama, available for streaming at CBS All Access or some such. Just let go and lean into the absurdity. Seventeen states, the District of Columbia, and six major cities sued the Trump administration on Tuesday over the addition of a controversial new question about US citizenship to the 2020 census. This is the third major lawsuit against the administration’s action, after California and the NAACP sued last week, marking a major escalation of the legal and political battle over the census. Civil rights advocates say the question is designed to spark fear in immigrant respondents and will cause many immigrants not to be counted, diminishing the political power and financial resources of the jurisdictions where they live. “This is a blatant effort to undermine the census and prevent the census from carrying out its Constitutional mandate,” said New York Attorney General Eric Schneiderman, who organized the multi-state lawsuit, at a press conference in lower Manhattan. New York has the third-largest immigrant population in the country, after California and Texas. More than 1 in 5 New York residents are foreign-born. “This is an effort to punish states like New York that welcome immigrants,” Schneiderman said. The lawsuit says the new question “violates the constitutional mandate to conduct an ‘actual Enumeration’” of the country’s entire population, not just citizens, as well as a provision of the 1946 Administrative Procedure Act barring federal agencies from taking “arbitrary, capricious” actions. The lawsuit was filed by New York, Connecticut, Delaware, Illinois, Iowa, Maryland, Massachusetts, Minnesota, New Jersey, New Mexico, North Carolina, Oregon, Pennsylvania, Rhode Island, Vermont, Virginia, Washington, and the District of Columbia, and joined by the cities of Chicago, New York, Philadelphia, Providence, San Francisco, and Seattle. The bipartisan US Conference of Mayors, which represents the 1,400 cities with a population of 30,000 or more, also joined the suit. Past leaders of the Census Bureau and current advisers to the bureau have also blasted the question. Six former bureau directors, who served under Republican and Democratic presidents, told Commerce Secretary Wilbur Ross in January that “an untested question on citizenship status at this late point in the decennial planning process would put the accuracy of the enumeration and success of the census in all communities at grave risk.” Members of the bureau’s Scientific Advisory Committee, who are appointed by the director, blasted the decision at a meeting of the Census Bureau last week. See here for some background. Even with the involvement of the US Conference of Mayors, I say every city of decent size should want to get involved, because it’s their residents who are going to be undercounted as a result of this malevolent policy, and that will cost them in terms of funding, representation, and more. This is a big, serious deal and it needs to be treated as such. Think Progress, which also looks at the effect of this policy on Texas, has more. The 2020 Census has big challenges, especially in Texas. But even two years out from the 2020 count, local officials, demographers, community organizers and advocates say they are worried the census could be particularly tough to carry out in Texas this go-around. They are bracing for challenges both practical — Hurricane Harvey displacement, internet accessibility and fewer funds with which to knock on doors — and political, namely anti-immigrant rhetoric and fears that a citizenship question will be included in the census questionnaire. Those issues aren’t insurmountable, officials say, but they will probably make Texas, which is already hard to count, even tougher to enumerate. An accurate census is critical to the state. It is used to determine how many representatives Texas is entitled to elect to Congress. And the Texas Legislature and local governments rely on the data to redraw corresponding political boundaries. The census also serves as a roadmap for the distribution of billions of federal dollars to the state and local communities, including funding for low-income housing, medical assistance and transportation projects. But those working toward an accurate count in Texas are, in many ways, starting from behind. Massive in both size and population, Texas is home to millions of residents who fall into the categories of people who pose the biggest challenges for the headcount — immigrants, college students, children younger than 5 years old, to name a few. After the 2010 census count, the U.S. Census Bureau found that most Texas residents live in areas that may be harder to count. Using a “low response score,” which is based on the likelihood that residents will not self-respond to a questionnaire, the bureau found that most Texas residents live in census tracts — geographic areas that include 1,200 to 8,000 residents — that exceed the national average for low response scores. That’s particularly evident in areas with large shares of Hispanics and residents living in poverty, which are prevalent across the state. That’s the chief concern among those working toward an accurate count in Texas. Almost 5 million immigrants live in the state, and it’s estimated that about two-thirds are noncitizens — legal permanent residents, immigrants with another form of legal status or undocumented immigrants. Additionally, more than 1 million Texans who are U.S. citizens live with at least one family member who is undocumented. Local officials, advocates and demographers for months have expressed grave concerns about the reception the 2020 census will receive among Texas immigrants who have likely followed years-long heated national and local debates over undocumented immigrants, immigration-enforcement laws like the one passed by the Texas Legislature last year and immigration crackdowns. The fact that preparations for the Census are being done now by the understaffed and under-competent Trump administration isn’t making this any easier. Remember that the reason Texas got those four extra Congressional seats in the 2010 Census was our rapid growth due in large part to immigration. It would be quite ironic if we missed out on getting a seat or two because of a Census undercount that was the result of Republican legislative priorities. The Trib, Mother Jones, Texas Monthly, and Erica Greider have more. A panel of three U.S. 5th Circuit Court of Appeals judges ruled Tuesday that most of the state’s immigration enforcement legislation, Senate Bill 4, can remain in effect while the case plays out, handing a victory to Gov. Greg Abbott and Republican supporters of the legislation. As passed, Senate Bill 4 allows local law enforcement officers to question the immigration status of people they detain or arrest and punishes local government department heads and elected officials who don’t cooperate with federal immigration “detainers” — requests by agents to turn over immigrants subject to possible deportation — in the form of jail time and penalties that exceed $25,000. The one part of SB 4 that is still on hold is a provision that punishes local officials from “adopting, enforcing or endorsing” policies that specifically prohibit or limit enforcement of immigration laws. The judges kept that injunction in place, but said it only applies to the word “endorse.” The bill, as passed and signed, would have made elected and appointed officials subject to a fine, jail time and possible removal from office for violating all or parts of the legislation. The American Civil Liberties Union of Texas, which represents some of the plaintiffs in the SB 4 case, said it was considering how to move forward. “The court made clear that we remain free to challenge the manner in which the law is implemented, so we will be monitoring the situation on the ground closely,” said Lee Gelernt, deputy director of the ACLU’s Immigrants’ Rights Project. See here, here, and here for the background. This one is destined for the Supreme Court, but in the meantime it can’t hurt to ask for an en banc review, as this wasn’t the friendliest three judge panel. This is still the injunction phase, not the trial on the merits, so no matter what there’s still a long road ahead. A copy of the ruling is here, and Texas Monthly has more. Mothers, children, and other allies will gather in front of John Culberson’s office to demand a Clean DREAM Act this Thursday at 4 PM. The gathering will feature remarks from children of mixed status parents and mothers who are enraged at government support for tearing apart families in our communities. In spite of the fact that 76% of the American people support a clean DREAM Act- as does the majority of Congress- our Houston area congressional representatives such as John Culberson continue to cater to extremists and the White House instead of doing what is right. Moms, children, and other community allies are ENRAGED. Join us this Thursday, February 22 nd at 4 PM, at John Culberson’s office located at 10000 Memorial Dr. to DEMAND a Clean DREAM Act NOW. In the wake of Hurricane Harvey and so many other challenges, when so many have lost their homes and their belongings, and some have lost loved ones, our reps MUST not only bring actual support for those who are hurting but also STOP the anti-family agenda that endangers our friends and neighbors. Where: John Culberson’s Houston Office, 10000 Memorial Dr.
There’s a Facebook event for this here, and here’s a map for the location. Go vote and go rally, you’ll be glad you did. RG Ratcliffe reports on a “loose coalition” of business and education interests who are seeking to clip Dan Patrick’s wings. This is, at best, a loose coalition. Some by law are restricted to urging people to vote based on certain issues, while others are gathering money to put behind candidates who will clip Patrick’s dominance in the Senate. If they just pick up a few seats, Patrick will no longer be able to steamroll controversial bathroom bills and school voucher bills through the Senate, because he will lack the procedural votes needed to bring the legislation to the floor for debate. One of the main groups that fought against the bathroom bill was the Texas Association of Business, and its political committee currently is evaluating which candidates to support in the primaries. “You’re seeing more and more business leaders engaged in this election—this time in the primaries in particular—than you probably ever had,” TAB President Chris Wallace told me. He said the leaders are motivated because “we had such a divisive time” during the 2017 legislative sessions. Most of the TAB endorsements will be made over the next several weeks, but the group already has endorsed state Representative Cindy Burkett in her Republican primary challenge to incumbent Senator Bob Hall. In the TAB scorecard for pro-business votes, Hall sat at 53 percent and Burkett was at 94 percent, even though she supported the “sanctuary cities” legislation that TAB opposed. Hall voted in favor of the bathroom bill, but it never came up for a vote in the House. Because Burkett also carried legislation adding restrictions to abortion last year, she probably would not gain much support among Democrats. But as an advocate of public education, she already is opposed by the Texas Home School Coalition. The Tassin race may create divisions in this loose coalition. She is challenging incumbent Senator Joan Huffman of Houston in the primary. Huffman gave Patrick a procedural vote he needed to bring the voucher bill to the floor, but then voted against the legislation. Huffman also voted in favor of killing dues check-offs, which allow teacher groups to collect their membership fees directly from a member-educator’s paycheck. But Huffman’s pro-business score is almost has high as Burkett’s, even though Huffman voted for the bathroom bill. Huffman also received a Best Legislator nod from Texas Monthly for helping negotiate a solution to the city of Houston’s financial problems with its police and firefighter pensions. However, the firefighters are angry over that deal and likely will work for Tassin in the primary. Huffman, though, has received an endorsement from Governor Abbott. We can’t make a prediction in that race until the endorsements come out. I agree with the basic tactic of targeting the most fervent Patrick acolytes in the Senate. Patrick’s ability to ram through crap like the bathroom bill and the voucher bill is dependent on their being a sufficient number of his fellow travelers present. Knocking that number down even by one or two makes it harder for him to steer the ship in his preferred direction. Neither Kristin Tassin nor Cindy Burkett are my cup of tea, but they have a very low bar to clear to represent an improvement over the status quo. The problem with this approach is twofold. First and foremost, depending on Republican primary voters to do something sensible is not exactly a winning proposition these days. There’s a reason why the Senate has trended the way it has in recent years. To be sure, it’s been an uneven fight in that there has basically been no effort like this to rein in the crazy in favor of more traditional Republican issues. To that I’d say, were you watching the Republican Presidential primary in 2016? The traditional interests didn’t do too well then, either. The Texas Parent PAC has had a lot of success over the years supporting anti-voucher candidates, often in rural districts where that issue resonates. I have a lot of respect for them and I wish them all the best this year, along with their allies of convenience. I just don’t plan to get my hopes up too high. That leads to point two, which is that there needs to be a part two to this strategy. The two purplest Senate districts are SDs 10 and 16, where Sens. Konni Burton (who also scored a 53 on that TAB report card, tied with Bob Hall for the lowest tally in the Senate, including Democrats) and Don Huffines (and his 60 TAB score) will face Democratic challengers but not primary opponents. It’s reasonable for TAB et al to not have any interest in those races now, as they work to knock off Hall and (maybe) Huffman. If they don’t have a plan to play there in the fall, then at the very least you’ll know how serious this “loose coalition” is. I fully expect TAB and the other business groups to roll over and show Patrick their bellies after March. But maybe I’m wrong. I’ll be more than happy to admit it if I am. I wouldn’t bet my own money on it, though.